FAIRBORN — Nighttime rocket attacks. Improvised explosive devices. Enemy ambushes. They were all part of Mark Winters’ world when he served as a U.S. Army infantry officer in Afghanistan more than 10 years ago. 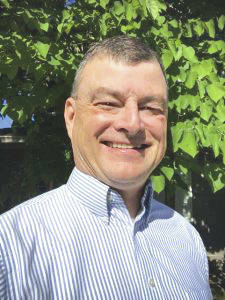 Today, the Wright State University alumnus is retired and living in Idaho. But he still hears echoes from the past. Winters volunteered for a combat tour as an infantry brigade mentor and trainer in Khowst, Afghanistan, which sits in the eastern part of the country along the Pakistan border. He was in charge of training and mentoring an Afghan National Army brigade commander, the equivalent of a one-star general. Winters also led 96 U.S. Army infantry soldiers deployed across four provinces and was senior officer of a forward operating base. Winters was awarded the Bronze Star for exceptionally meritorious service in Afghanistan from June 2006 to June 2007. The honor cited him for a tireless work ethic, a commitment to excellence and for being instrumental in building a professional Afghan National Army. He mentored the Afghan brigadier general during the planning and execution of combat operations, served as convoy commander through a mountain pass that was the site of enemy ambushes and improvised explosive devices, was instrumental in securing the pass and helped the Afghan army build a base in the center of the pass that significantly reduced enemy activity. Winters said he was very honored to be awarded the Bronze Star but felt he was really just doing his job. He was also cited for his leadership and decision-making that preserved the safety of all personnel during two enemy ground attacks and 14 rocket attacks. It was all part of a 25-year military career for Winters, who retired as a lieutenant colonel and is living in Boise. He has fond memories of his time at Wright State and recently reached out to the university’s Army Reserve Officers Training Corps program to share some of his knowledge and experience with the cadets. ROTC trains students to become commissioned officers of the armed forces. Winters went on to advise cadets to commit to being their very best and to get in good physical shape by exercising daily. When they take charge of their first platoon, he says, they should talk to their fellow soldiers as a group at least once daily about the tasks for the day and what needs to be accomplished. They should also stress the basics and always work on their own professional development, he said. Winters grew up in the tiny western Ohio village of Ludlow Falls, the fifth of six children. His father worked his whole life as a welder or in auto-parts factories. His mother was employed for years as a loom operator at Orr Felt in nearby Piqua. Winters attended Milton-Union Schools from 1969 to his graduation in 1979, when he enrolled at Wright State. Inspired by some of his high school teachers, he chose secondary English education as his major. He said Wright State introduced him to many new ideas and people from different backgrounds. Winters joined the Army ROTC when he was a freshman. Winters said the military exposed him to different cultures in Europe, Saudi Arabia and Afghanistan, and he quickly learned how sheltered he had been growing up in a small town. Winters’ combat tours not only included Operation Enduring Freedom in Afghanistan but also Operation Desert Storm with the 101st Airborne Division.